LOONA, stylized as LOOΠΔ (이달의 소녀 meaning Girl of the Month) is a girlgroup that will consist of 12 members. Starting from October 2016, each month a different girl is announced and there are solo and/or group releases. They are under Blockberry Creative. 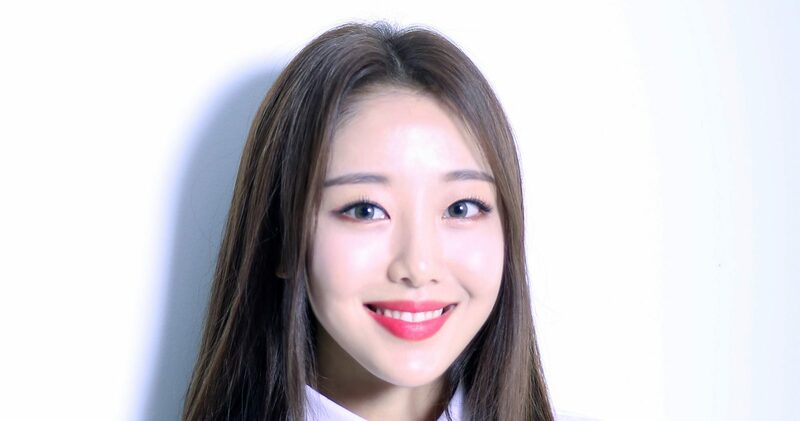 They currently have 3 sub-units, Loona 1/3 with Haseul, Vivi, Hyunjin and Heejin, Loona Odd Eye Circle with Kim Lip, Jinsoul and Choerry, and Loona yyxy with Yves, Chuu, Go Won and Olivia Hye. 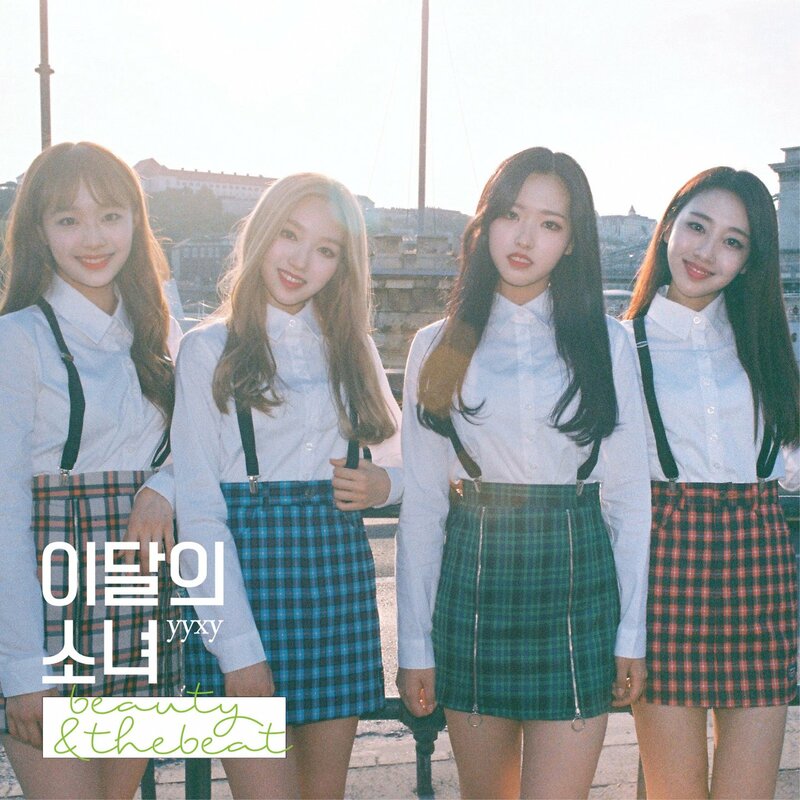 LOOΠΔ [Yves]Moving on through LOOΠΔ 1/3 and LOOΠΔ / ODD EYE CIRCLE, LOOΠΔ has taken roots into its unique Loonaverse.Each member gathered to form a unit which became not just a collaboration, but a complete group with distinct musical style.LOOΠΔ 1/3 sang about the thrill of first love and the sorrow of heartbreak. 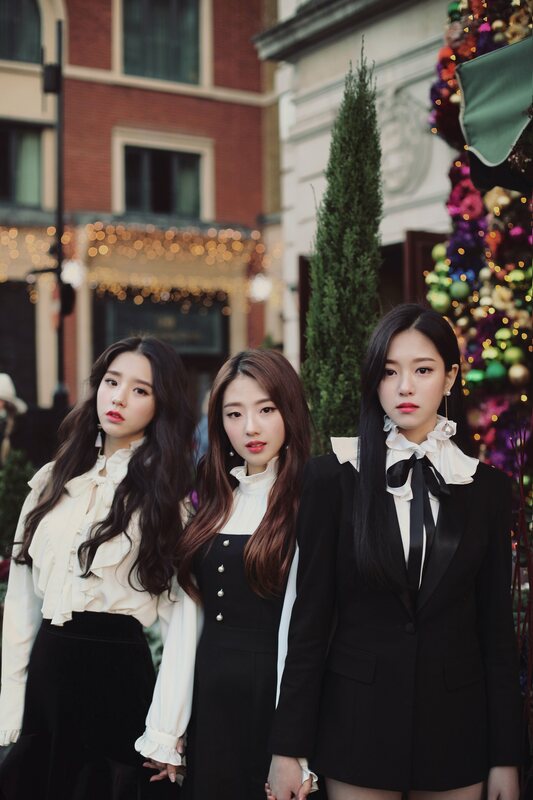 LOOΠΔ / ODD EYE CIRCLE took the fans by surprise with their odd view of the world.In the process, LOOΠΔ / ODD EYE CIRCLE has placed themselves among the names in the iTunes charts worldwide, and in the Billboard top world albums chart, mix and matching to write their own organic story.Now, LOOΠΔ takes another step with the introduction of Yves to start building its last four-member squad.Yves asks a question in Eden. “Is it really a bad thing to disobey God?” If someone has already decided our fate, wouldn’t it be a better life to stand up and against that fate?Even if it’s not something grand such as God or fate, Yves sings that she will not surrender herself to any walls or glass ceilings she may have to face.The title track “new” is a song where Yves declares that she will be herself no matter what kind of hardships, pain, and frustration faces her. 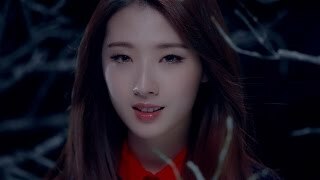 It is the first track released in the genre of Soultronica in Korea, with Yves’ confident voice laid on top of bold beats to prove LOOΠΔ’s new concept and quality.The music video for “new” was directed by DigiPedi. He captures fatal images of Yves, who takes a bite of the apple on purpose to be exiled to the earth.The supporting track “D-1” is a French-pop style track with trivial emotions and stories of a girl told in a classy way.Just as ‘Love & Live’, ‘Love & Evil’, ‘Mix & Match’, and ‘Max & Match’ have, LOOΠΔ shuffles and swaps words to toughen its Mobius strip to become one. 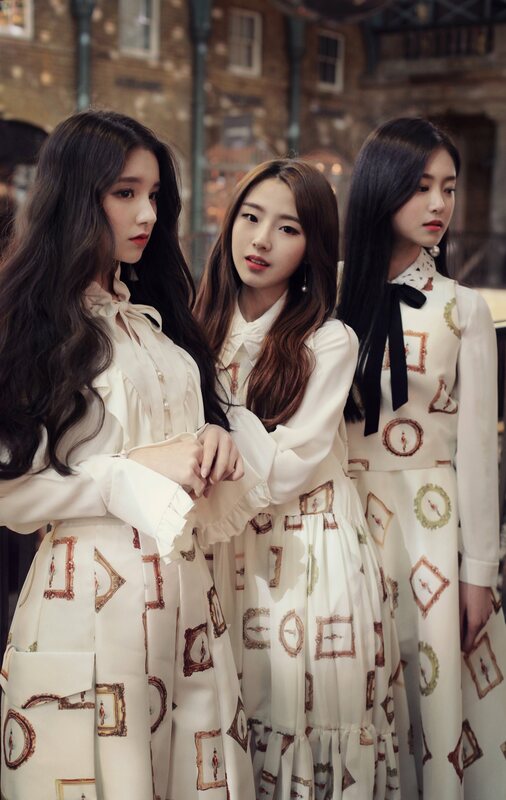 LOOΠΔ / ODD EYE CIRCLE [Max&Match]LOOΠΔ started with the system where each member of the group has an own character as a solo artist, who will gather up to form a unit, which will also bond to become one whole team. The story of the development is built within the organic relationship among any members or units.LOOΠΔ / ODD EYE CIRCLE consists of three extraordinary girls to complete three moons (ODD). [Max&Match], a repackage album following the release of [Mix&Match], is an expression of the will to surpass the limits of ODD EYE CIRCLE once again.The intro track of [Max&Match], "ADD", is a new take on the music from the teaser video clip for ODD EYE CIRCLE, "Reveal". It starts with a dreary ambience, which beats were then added. The title track "Sweet Crazy Love" is a prequel to the birth of ODD EYE CIRCLE, depicting the identity of ODD EYE CIRCLE. With the spell cast by the sweet but zealous girls at the beginning of the song by saying 'Hey Boy', the music is already complete. 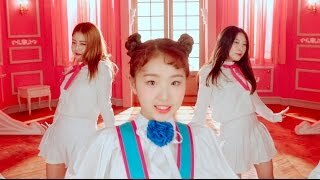 "Sweet Crazy Love" is a track which exquisitely incorporates the chord work of an R&B song with the danceability of a pop tune to add charisma to sweetness.Another dream pop track following "LOONATIC" is a newly released "Uncover", showing off the confidence in the music production aspect of LOOΠΔ. Dream pop, a genre known to be extremely difficult to be expressed in the context of k-pop, has once again been flawlessly produced in the color of ODD EYE CIRCLE to add to the masterfulness of the album. "ODD Front" is a remix track of "Girl Front", with interesting ideas added to give the fans a different and fun way to enjoy the track. 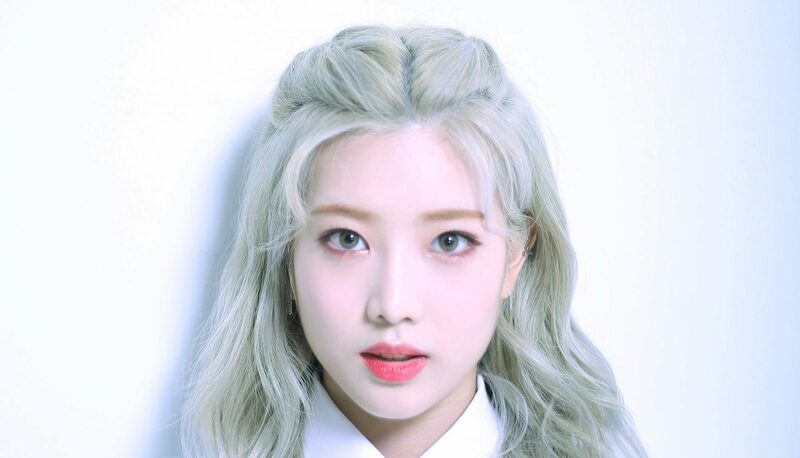 The English version of "LOONATIC", which was recently released via streaming sites, is exclusively included in the limited edition version of the album as the hidden track.Expanding its universe with the units from LOOΠΔ 1/3 to LOOΠΔ / ODD EYE CIRCLE, LOOΠΔ only has four more members to go to complete the zodiac signs. 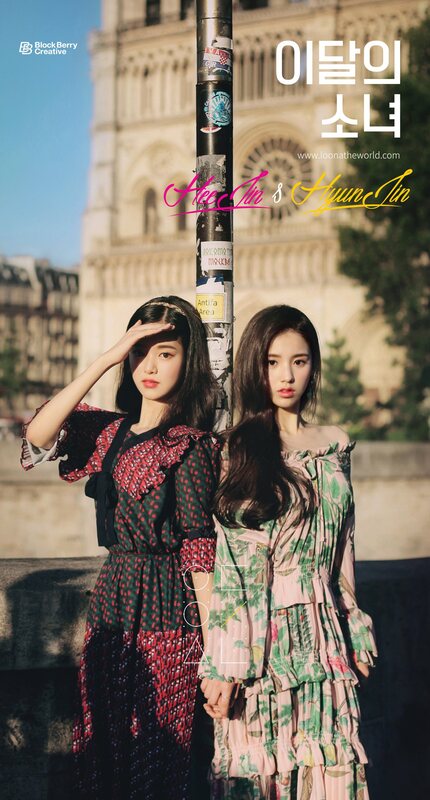 LOOΠΔ / ODD EYE CIRCLE [Mix&Match].The girls' stories get deeper and deeper.The story that began with HeeJin's 'ViViD' created a group named '3', composed of HeeJin, HyunJin, and HaSeul. 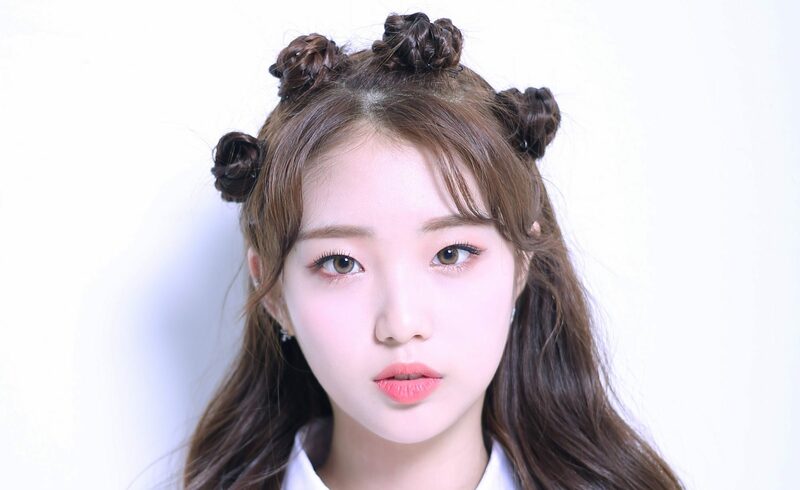 Yeojin added '/' while ViVi added '1' to complete LOOΠΔ 1/3. 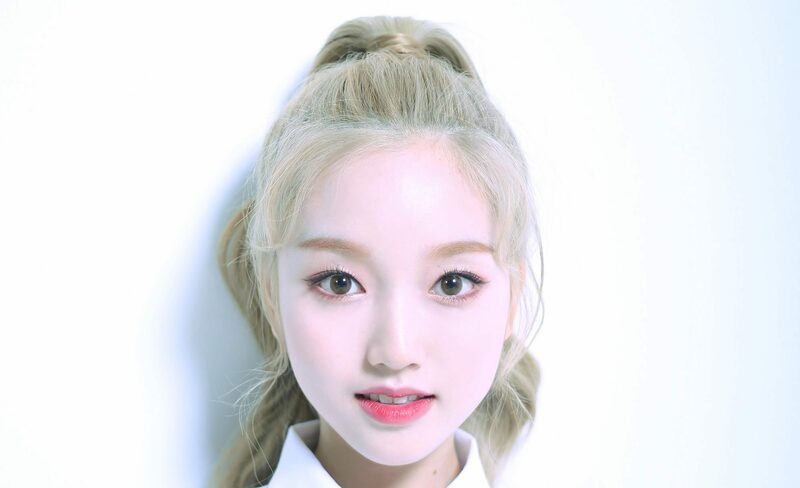 Kim Lip with 'Eclipse', JinSoul with Singing in the Rain', and Choerry with 'Love Cherry Motion' gathered to create a new group, 'ODD EYE CIRCLE' to start a new story.Plenty of imageries and metaphors are in LOOΠΔ's music, lyrics, albums, and music videos for fans search for like puzzle pieces to complete. For instance, the word 'ODD' in ODD EYE CIRCLE is used as its original definition, but is also an image of three moons together.ODD EYE CIRCLE's musical story told by three odd girls have just started. [Mix&Match]01 ODD The intro track to express ODD EYE CIRCLE’s identity. Girls who have released solo singles each have gathered to sing under the name ‘ODD EYE CIRCLE’. 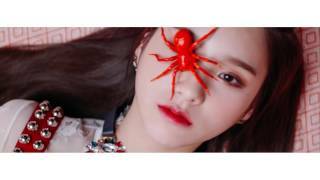 They say that we’re all ODD as people.02 Girl Front The title track of ODD EYE CIRCLE. While LOOΠΔ 1/3 has drawn the picture of girls in a crush, ODD EYE CIRCLE sings, "Love is not to be waited for, it is something I look for.” This song depicts new standards of girls saying that they would ask the boys out first, and expressing their love with dignity. The track is structured in the way that Kim Lip’s ‘Eclipse’, JinSoul’s ‘Singing in the Rain’, and Choerry’s ‘Love Cherry Motion’ mix & match to show how three moons (ODD) gathered to form a new team. 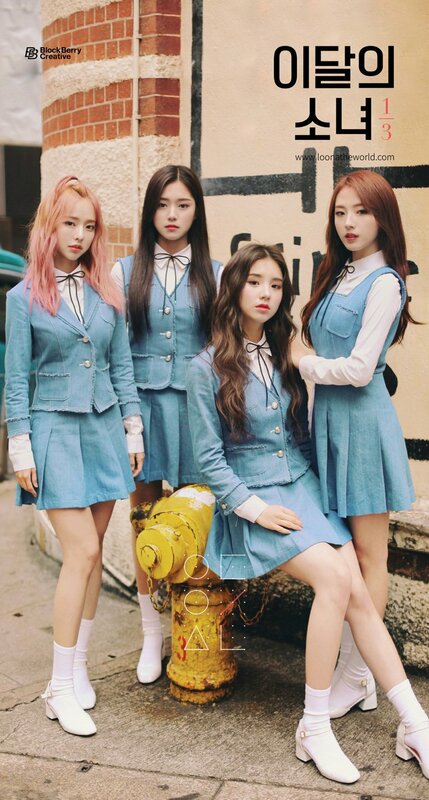 The music video was shot in Los Angeles, and the group's links to LOOΠΔ 1/3 are hidden in the video like puzzle pieces for the fans to find. Another girl yet to be introduced revolves around ODD EYE CIRCLE.03 LOONATIC The international title track which will be released in English for the fans outside of Korea. The track is in the styles of dream pop which has almost never been done in Korea to satisfy both international and local fans. 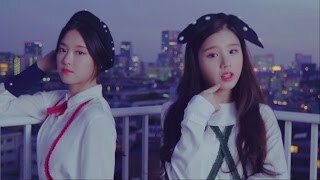 Listeners would feel as if they are in a roller-coaster ride for a lot of work has been put into making the sound.04 Chaotic A track that emphasizes ODD EYE CIRCLE's vocalist techniques. The song was initially chosen to be the title track for BlockBerryCreative's 8x8x8, but it was changed to showcase ODD EYE CIRCLE's technical vocal skills. 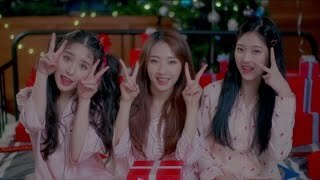 Thus, you can feel ODD EYE CIRCLE's unique charm as they can express their music to be 'manish'.05 Starlight Fans who like LOOΠΔ 1/3 might be surprised with ODD EYE CIRCLE as their music is in the complete opposite style. While LOOΠΔ 1/3 has focused to create sounds of cliche images of young girls, ODD EYE CIRCLE is creating their music in the original shapes of a girl-crush in the form of a pop-tune. They’ve put stories among girls, more important than stories about boys, into this track, Starlight. Story told under the starlight endlessly until the morning comes.Having started with the idea of solos gathering to make a unit, and units gathering to create a whole world, LOOΠΔ can finally show its big picture via the introduction of ODD EYE CIRCLE. The girls will continue working as solos, units, and as a whole. LOOΠΔ concert, which is being prepared, will be the stage for twelve solo artists, three teams, and one whole complete group in a splendid set-up for everyone to be amused. LOOΠΔ [Choerry]LOOΠΔ is a k-pop girl group building its own universe.Each member of the group is introduced with a single of her own. The universe of LOOΠΔ is expanded by combination of the new member with previously introduced members.After the announcement of a new unit with Kim Lip eclipsing, LOOΠΔ’s colors deepened with JinSoul singing in the rain. 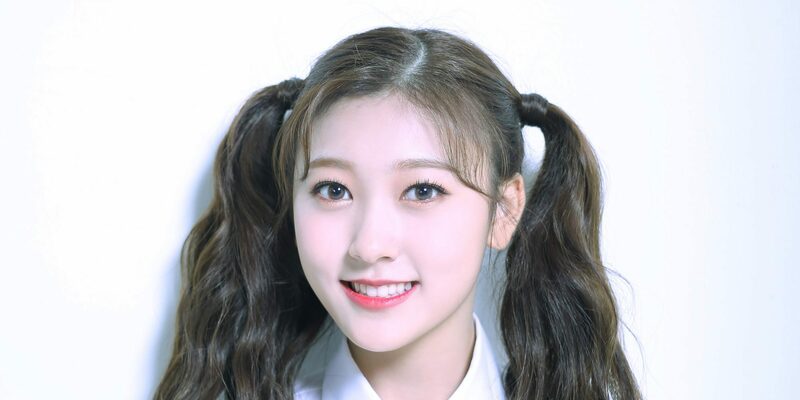 The circle gets completed now with the introduction of Choerry.Choerry’s title track ‘Love Cherry Motion’ is a funky pop dance tune blasting through hot summer, demonstrating Choerry’s juicy charm. The love spell ‘Love Cherry Motion’ is produced with the opposing qualities of refreshingly explosive chorus and ethnic break beats to create its own sense of style in finesse.The music video was shot in Jeju Island to capture the visual attraction of the summer. 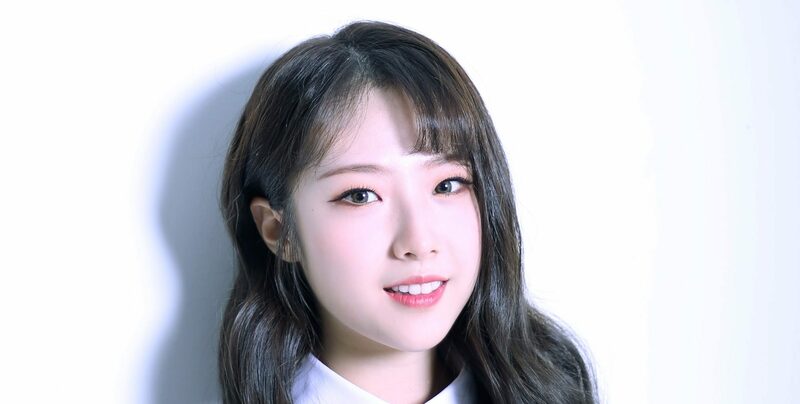 HaSeul, the leader of LOOΠΔ 1/3 and YeoJin, the youngest member of LOOΠΔ joined forces to help out in the process. The surprise combination of Kim Lip and JinSoul during the beat break lets the audiences to take a little peek at the new unit for the fans to look forward to.The supporting track ‘Puzzle’ is a duet by JinSoul and Choerry, produced by Daniel Obi Klein who also produced Kim Lip’s ‘Eclipse’. 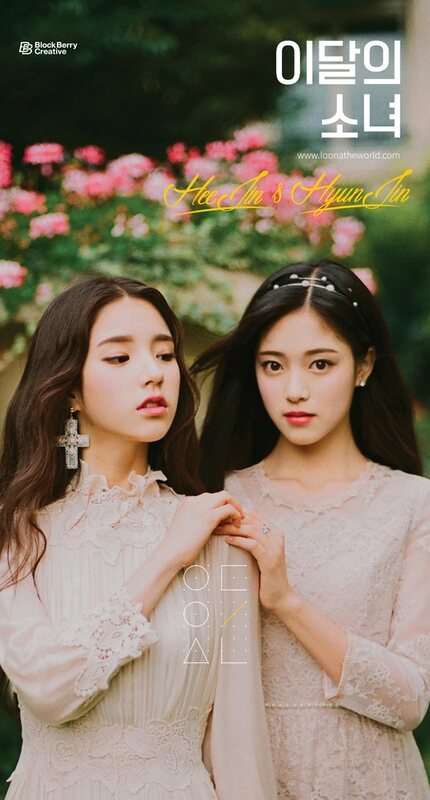 JinSoul’s vocal flair and Choerry’s beautiful harmonies become the pieces of the ‘Puzzle’ being put together.Busting through from the release of HeeJin’s ‘ViViD’ up to Choerry’s ‘Love Cherry Motion’ without a break, LOOΠΔ will spend the month of August to rest. Kim Lip’s color red, JinSoul’s color blue, and Choerry’s color purple will combine for a new unit’s album to be released in September. 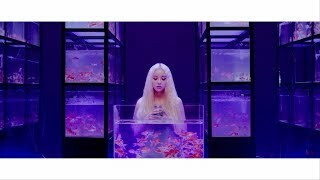 LOOΠΔ [JinSoul]LOOΠΔ is a k-pop group building its own unique universe.The story of LOOΠΔ started with its first girl, HeeJin. 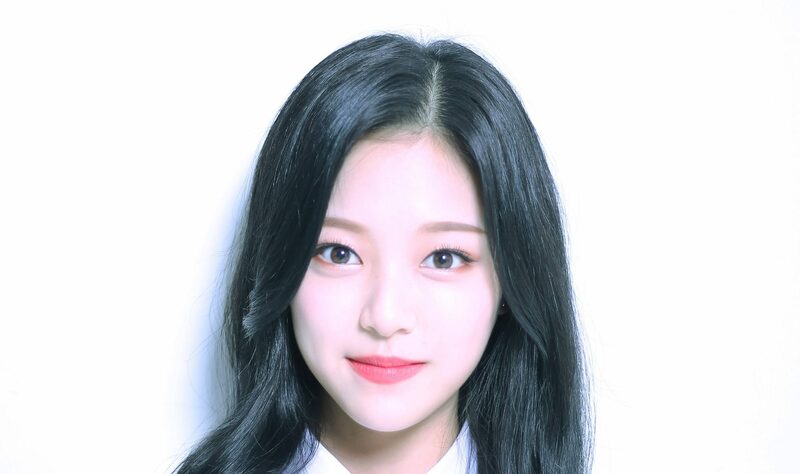 Then HyunJin, a close friend and a schoolmate of HeeJin, joined LOOΠΔ. HaSeul, who always seems to cause rain wherever she goes, and the youngest member YeoJin, who hops around everywhere like a noisy frog joined along. 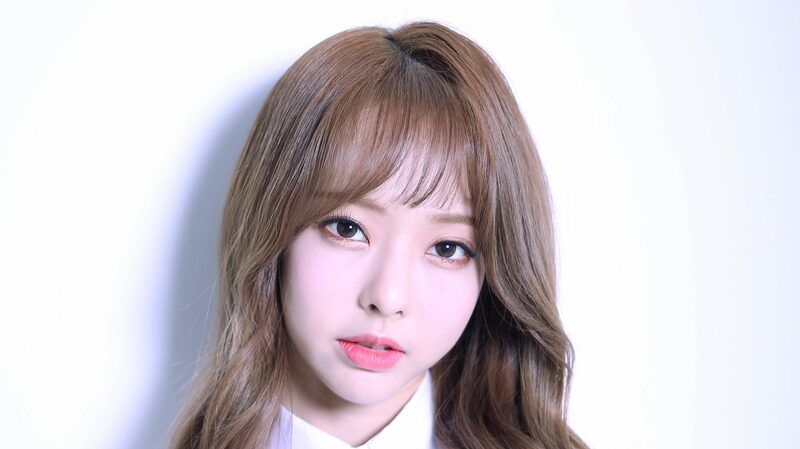 An android from Hong Kong, ViVi was introduced to complete LOOΠΔ's first milestone, LOOΠΔ 1/3. As they pass through the endless forest created with 'Love&Live' and 'Love&Evil', LOOΠΔ's universe kept on expanding.Each girl meets another girl like building 'blocks' stacking, and the encounters of each girl creates new synergies to bear 'berries'.The structure built by these young innocent girls eclipsed with Kim Lip's appearance to show a different side of what they had built.Now, the introduction of a new girl draws a even bigger circle now.JinSoul is the girl of this month.JinSoul had caught the eyes of the fans first with ViVi's help during their encounter in Hong Kong. 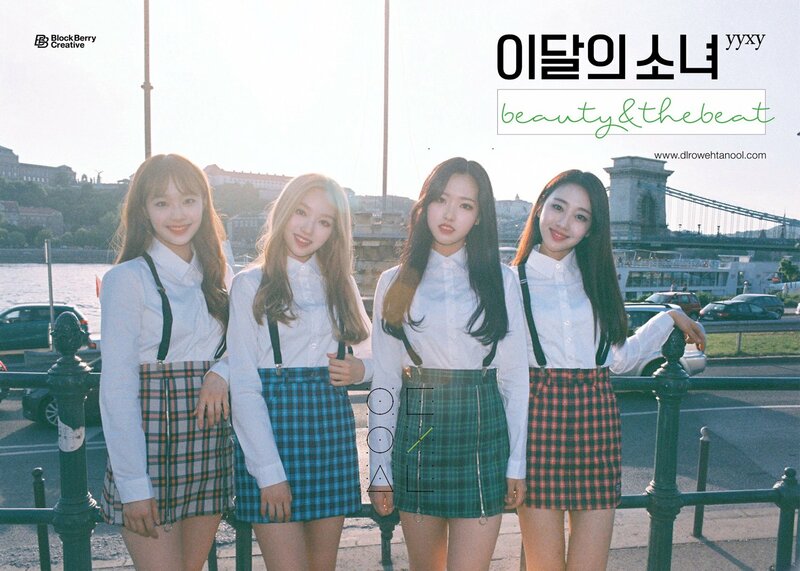 She finally joins LOOΠΔ with her new single, 'Singing in the Rain'.Dressed in a blue school uniform, she brings a future bass track, 'Singing in the Rain' to show her colors to the fullest. 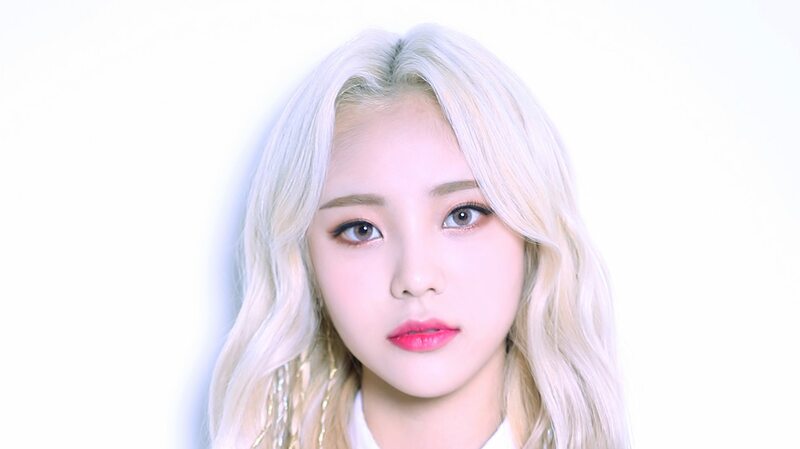 The track fires up speakers with its accelerating tempo like a pulsating heart in excitement.The title of the supporting track 'Love Letter' performed by JinSoul and Kim Lip sounds like a ballad number, but it actually is a track full of groove, created from the clash of the two girls with their unique and distinct styles.Now with its progress just over half way, the universe of LOOΠΔ strengthens more and more to show its real potential. Kim Lip, JinSoul, and the next girl to come will form a new unit to add colors very different from what LOOΠΔ 1/3 has brought.As it was mentioned in LOOΠΔ TV, about 50 trainees are training hard under the name of 'LOOΠΔTIOΠ' as candidates for the last four slots in the third unit of LOOΠΔ, which will expand the universe with its whole new spectrum once again. LOOΠΔ [Kim Lip]While HeeJin, HyunJin, HaSeul, YeoJin, and ViVi have released their solo singles each month to build up the true form as LOOΠΔ, 'Love & Live' and 'Love & Evil' were the first real steps towards the 'Loonaverse', the alternate universe LOOΠΔ lives in. 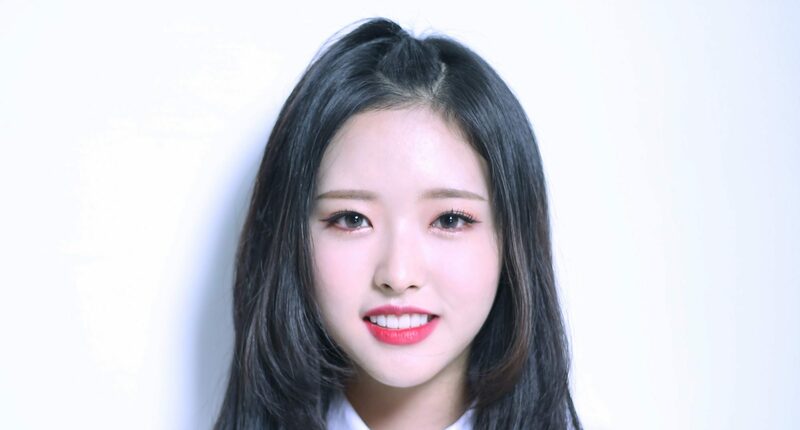 It isn't just a series of releases every month to make a group in a year, but it is a story told by music introduced to the world, one after another, to expand the Loonaverse.As previously announced, the girl of May has arrived. 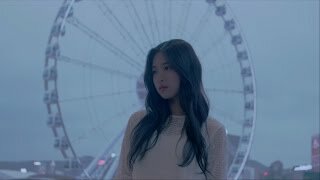 Kim Lip is a 19 year old girl who starts to draw a new circle, different from the one drawn by the previous members.While we traveled around the world going to places such as France, Japan, Iceland, England, Taiwan, New Zealand, Hong Kong, and Busan to witness the LOOΠΔ episodes according to locations, the new circle will evolve around three different colors. Kim Lip, representing the color red, will gather two other girls to add to the palette of the circle.As Kim Lip changes up the way the circle is drawn, the style of music they bring to the game moves forward as well. The title track, 'Eclipse' is an urban R&B track produced by Daniel Obi Klein, the producer of E-Sens' critically acclaimed album 'The Anecdote'. While LOOΠΔ 1/3 has asked questions about love, the sweetness, the pain, the joy, the worries, and hidden emotions, Kim Lip tells without any hesitation that "love just happens like it's destined to," in the lyrics. "Even the moonlight feels like you," she says in the supporting track 'Twilight', singing through a sleepless night towards the moon. Cha Cha Malone, the producer of AOMG wrote the song for Kim Lip, adding a deeper tint to Kim Lip's color red.Kim Lip is a fresh start for LOOΠΔ's expansion of their universe. A new unit will be formed along with the girl of June and the girl of July to present a whole new color, different from LOOΠΔ 1/3. The new unit and LOOΠΔ 1/3 will co-exist and unify in Loonaverse, and when other members scattered around the world unite to create a bigger circle as a whole, the construction of the moon LOOΠΔ has been dreaming about will be complete.Can JinSoul, rescued from a basement in Hong Kong by the wishes of the fans, meet with the rest of the LOOΠΔ? Will YeoJin find her way towards the other members without wandering off somewhere else? 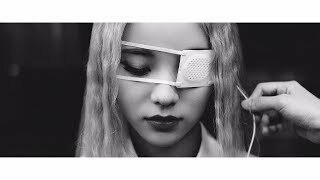 Who will Kim Lip meet to complete her circle of colors?With the introduction of Kim Lip, LOOΠΔ eclipses. LOOΠΔ is a K-pop group building its own view of the world.Six members of LOOΠΔ, HeeJin, HyunJin, HaSeul, YeoJin, ViVi, and JinSoul, have been introduced, and the unit of LOOΠΔ 1/3, composed of HeeJin, HyunJin, HaSeul, and ViVi has been announced to the public so far.LOOΠΔ 1/3 has released [Love&Live]. Filled with sense of youthful love, ‘Love&Live’ was an album to express their palpitating emotions in the boundaries of contemporary K-pop girl group music of 2017. A month later, LOOΠΔ 1/3 releases [Love&Evil], a inverted version of the album [Love&Live]. As suggested by the word ‘Evil’, which is reversely-spelled word from ‘Live’, [Love&Evil], which was planned beforehand during production, is filled with pain and worries in the process of love, in the opposite characteristics of the prior record.“Is love something sweet? Or is it something cruel?”It might be a question too difficult for young girls to answer yet. 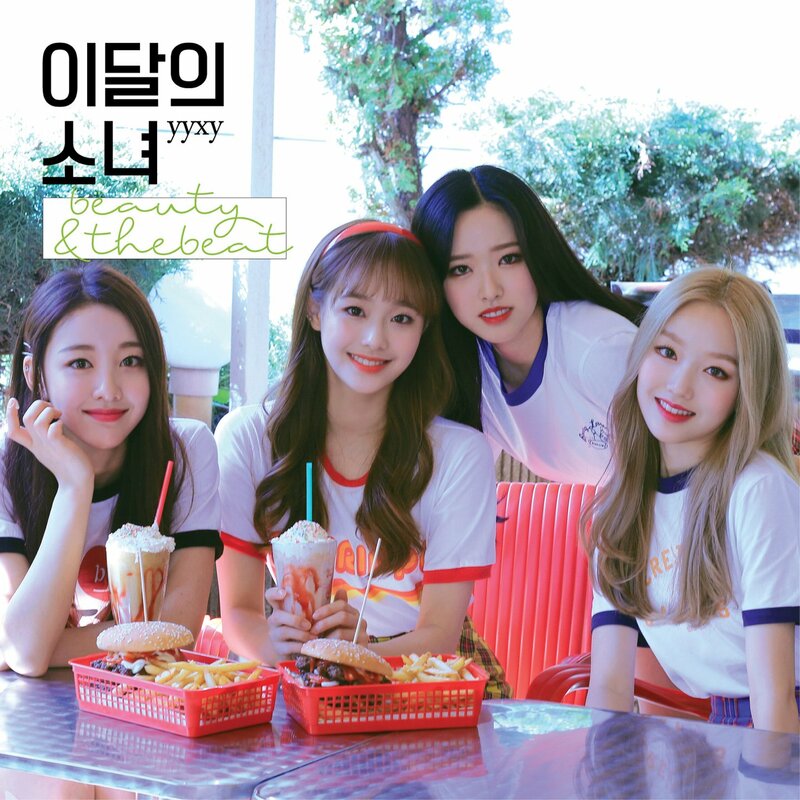 The title track ‘Sonatine (알 수 없는 비밀)’ takes the encounters of love away towards the adolescence of the girls. While ‘Love&Live (지금, 좋아해)’ was a typical K-pop girl group track with lovely emotions, ‘Sonatine (알 수 없는 비밀)’ mesmerizes the audience with mystical melodies unexpected for a K-pop girl group.The intro track ‘Love & Evil’ produced by SWEETCH materializes a girl who is lost alone in a dark forest. 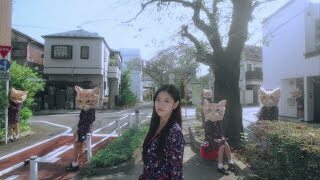 With the piano played in Accelerando, the girl runs away deeper into the forest.Four girls then gather to sing a ‘Sonatine’ to cast an arcane spell of love.The album continues with a newly released track, ‘Rain 51db (비의 목소리 51db)’ which is an homage to the first generation K-pop girl groups, S.E.S and Fin.K.L. It also shows their love towards themselves, trying to revitalize the sentiments of the golden era. 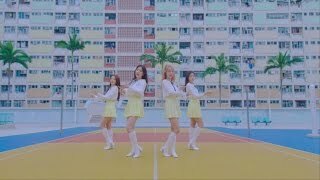 Like ViVi’s previous attempt in ‘Everyday I Love You’, LOOΠΔ 1/3 time-travels back to the 90’s, with the question of “what if LOOΠΔ was created in the 90’s?”. They then raise their innocent and pure voices up as if ‘Rain 51db’ is the original soundtrack to an animation film with a storytelling, singing that they have “dreams that they do not wake up from.”HeeJin meets HyunJin, who goes to the same school in the same grade. HaSeul is a warm friend who is like a mother to YeoJin. 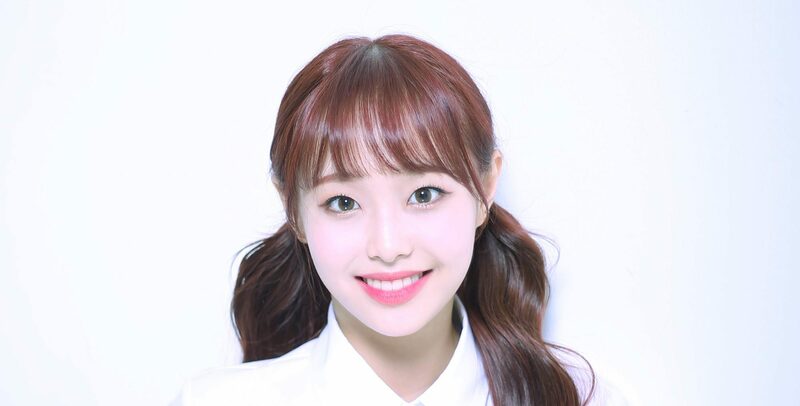 ViVi, an android who can’t speak Korean very well introduces JinSoul in Hong Kong. Each member’s character is pronounced vividly.Is story of love that 1/3 girls tell ‘Love&Live’ or ‘Love&Evil’?A new member will be announced in May to build up a new view of the world. The girls of May, June, and July will be of another unit.The girls who are lost in the forest have gathered here. Can they save YeoJin?